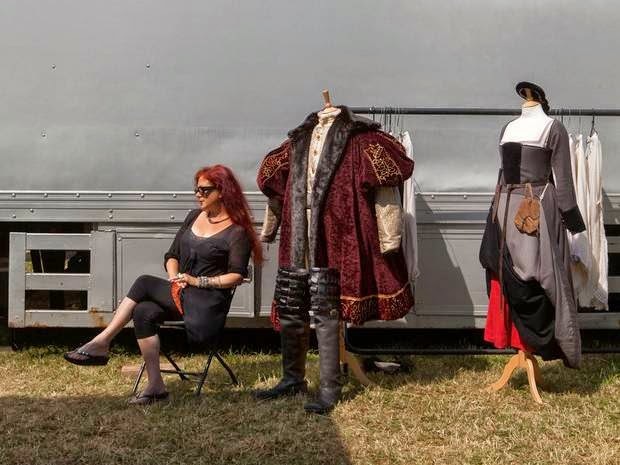 I talked a little bit about Wolf Hall's costume design this past Wolf Hall Wednesday; the clothing is one of the areas the production nails, not an unexpected result for the BBC. 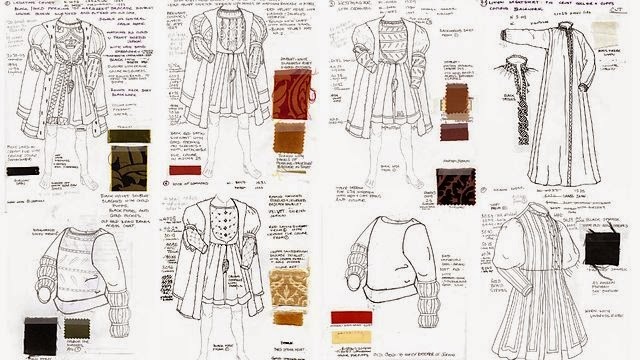 As promised for this week's Slacker Sunday video, I'm sharing a behind the scenes featurette with Costume Designer Joanna Eatwell — what's the etymology of that name I wonder! Eatwell has been in the business, working mainly in television since 1986, most recently outfitting the cast of The Paradise, another popular BBC production. Ms. Eatwell was nominated for a BAFTA in 2011 for Eric & Ernie a television movie about the comedy duo, Morecambe and Wise. I would guess many of my fellow Americans have no idea who Eric Morecambe and Ernie Wise were, but being that the duo hailed from the north of England as did my dad (Preston, Lancashire) I know they were as legendary and beloved in England as Martin & Lewis were in this country. What does that have to do with Wolf Hall? NOTHING! Okay, another cuppa for me, a costume video for you. Enjoy.